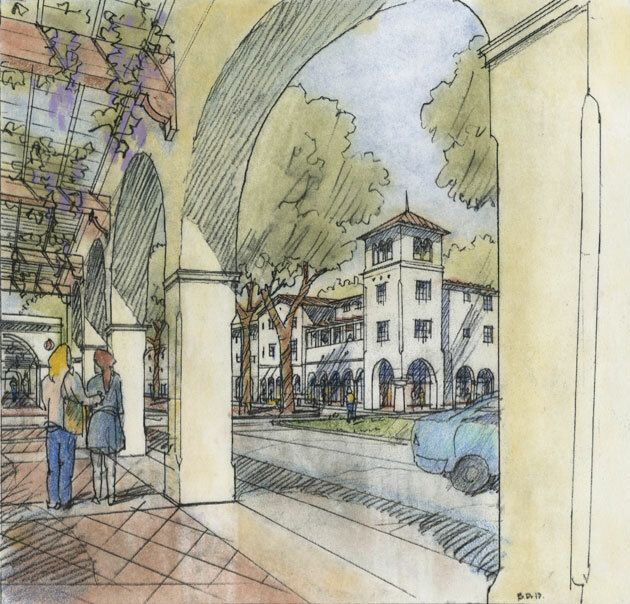 The University Village at the University of Redlands is a town-gown project centered on the terminus station of the soon-to-be-built Redlands Passenger Rail Project. 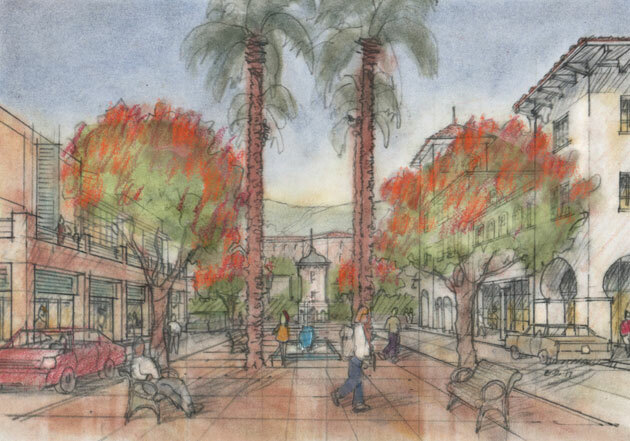 Composed of beautiful, tree-lined streets and walkable blocks, the Village is structured around a stormwater and rainwater network that captures 100-year stormwater events and provides year-round greywater storage. 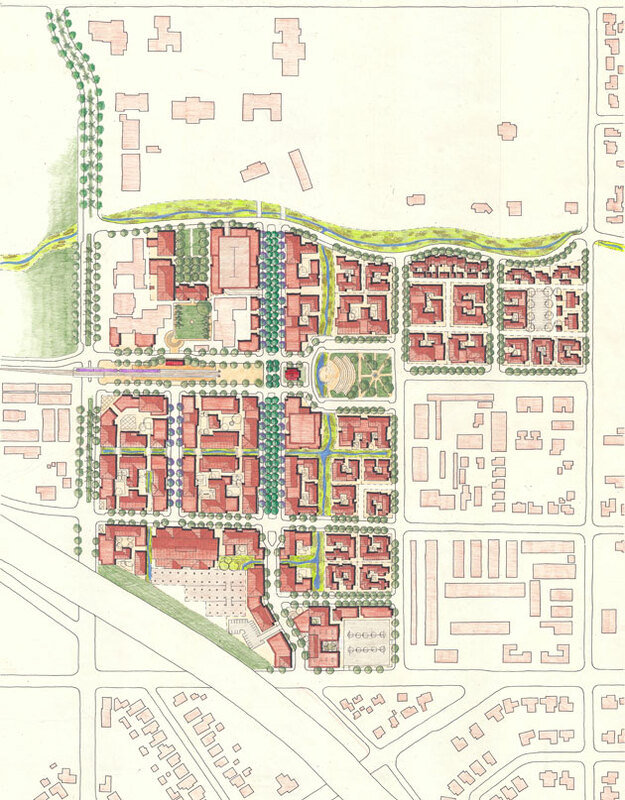 A north-south main street, configured as a rambla, connects the Village directly to the heart of the University and separates the mixed-use neighborhood center to the west from the multi-family residential blocks to the east. 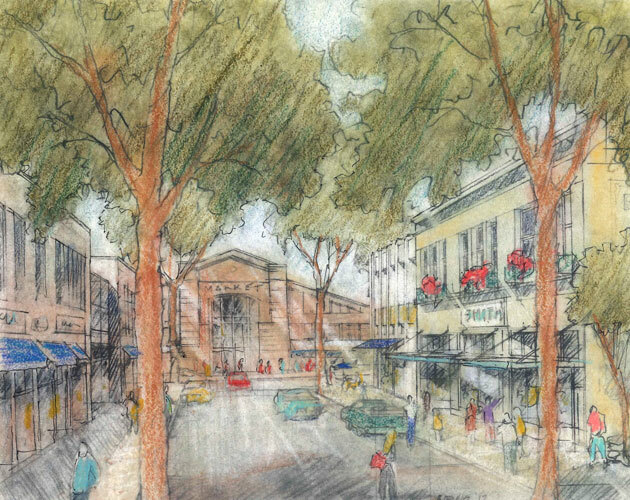 The project provides 200,000 square feet of retail and commercial space, including a market hall and an art house movie theater; 200,000 square feet of flex space; 1,000 units of housing; and two hotels.